Taking a holiday with the family is the highlight of the year for many – work and school becomes a distant memory and all that remains is to have a holiday to remember and keep everyone entertained. 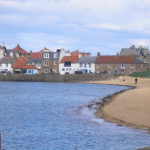 Whatever the time of year, the East Neuk has a massive range of festivals, activities, attractions, restaurants and much else besides to keep everyone entertained and happy. The beautiful corner of Scotland has been a tourist destination since the Victorians first started flocking to the area – captivated by its astounding natural beauty, beautiful villages and welcoming locals. Today, things have advanced a little, but the area retains its amazing looks and unique atmosphere. Whatever your idea of a good time, the East Neuk has more than enough going on to satisfy and create a family holiday to remember. Whilst some might worry that this involves a ‘Wicker Man’-style ceremony, fear not! The May Princess is actually a 100-capacity pleasure cruise that takes lucky sightseers to the gorgeous May Island. Sailing from mid-April to September, a five hour round trip encompasses passage to and from the island – declared a National Nature Reserve, and includes two to three hours ashore. Rangers stationed on the island offer insight into the wildlife – up to 120,000 puffins and 250,000 seabirds call May Island their home, alongside masses of other wildlife, including 150 permanent seal residents. 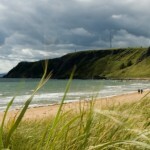 The island is only five five miles off the coast of Fife, making it a short hop to get to this little slice of paradise. PAt the height of the cold war, this humongous bunker (the size of two full-sized football pitched) beneath Fife was to house Scotland’s best and most important from the nuclear war raging above. 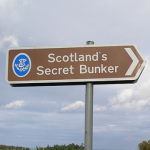 Thankfully, Scotland’s Secret Bunker never saw action in its intended role and, today, serves as a fascinating, explorable record of a time now passed. Expert staff bring the facility to life, helping visitors navigate the huge structure. With all equipment and facilities maintained, the Secret Bunker is an intriguing curiosity for the young and an interesting, sobering relic of a bygone age for the older visitor. Any trip to this historic corner of Scotland would not be complete without a visit to one of the areas stunning castles, and Kellie Castle definitely falls into this category. The site dates all the way back to the 1300’s, with the current look of Kellie Castle dating from work undertaken in the 1600’s. 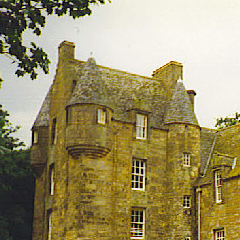 The interior of the castle features amazing interiors, which take visitors back to an earlier age, with period artwork and crooked doorways galore. Once outside, there are acres of gardens and woodland to explore and admire, which could easily take up a whole day in their own right. 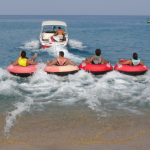 Based in the beautiful Elie Bay, Elie Watersports offers a wide range of watersports and activities for visitors of all confidence and skill levels. If the young amongst the family want to get out on the surf, then they can choose between windsurfing, sailing, water skiing and much more. For those not so keen to get in the water, pedal boats, canoes and mountain bikes offer great alternatives. 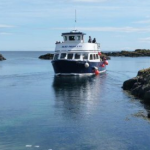 Safety is paramount at Elie Watersports, with a rescue boat and qualified first aiders on constant standby, with the centre licensed by the Adventure Activities Licensing Authority (AALA). For any lover of seafood, no visit to the East Neuk would seem complete without a visit to Crail Harbour. 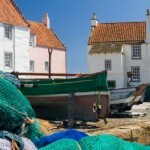 Ensconced in 17th century buildings, Crail Harbour is home to still-active fishing boats. Once you have looked around, the catch of the day – usually crabs, lobsters, scallops and local fish, are up for grabs. Either buy directly from the harbour, or one of the many nearby shops, and experience some of the freshest, tastiest sea food in the whole area. Running all the way from the Forth Road Bridge to the Tay Bridge, the Fife Coastal Path comprises a total distance of 117 miles of walking and cycling paths. Due to its extensive reach, the Fife Coastal Path brings its users through a wide range of different paths, from beaches to cliffs, on to more industrial areas in the West. Whatever your preference, the Fife Coastal Path takes in everything this corner of Scotland has to offer, with a wide range of paths and maps helping you decide which route to take. For those families that like a touch of history tinged with the supernatural, the St Andrew Witches Tour is perfect. 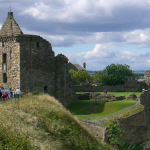 Mixing historical walk with theatrical embellishments, the tour takes place at night, visits St Andrews most grisly historical monuments and brings history to life before your very eyes. If you like a little horror with your history, then the St Andrews Witches Tour is the perfect nighttime jaunt. No trip to the East Neuk would feel complete without fitting in a round of golf, and what better place than Anstruther Golf Course. 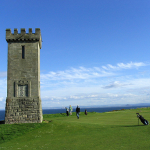 Whilst the area is dotted with great course, few can match the coastal views of Anstruther. Nine miles south of St Andrews and running along the shore between Anstruther and Pittenweem, you can take in breath-taking views of Anstruther Harbour whilst you play. When you’ve finished up your round, adjourn to Rockies Restaurant on site, and enjoy an a la carte lunch or seafood dinner. Few things come to mind when thinking of Scotland as readily as deer. As one of the iconic creatures of this corner of the world, The Scottish Deer Centre a great way to view these majestic animals up close. As well as get up close and personal with the multiple deer breeds, the park is also home to otters, owls, Scottish wildcats and, perhaps most impressive to younger family members, wolves. 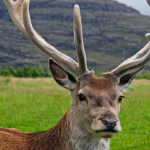 If looking for a taste of nature and an amazing day out, The Scottish Deer Centre is the place to be. 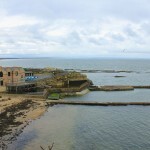 Running from the 23rd of July to the 2nd of August, Crail Festival features a wide range of exhibitions and activities. Crail Festival is all about bringing together and displaying a wide range of art, history exhibitions, music, films and kid’s activities, providing something for the whole family to get involved with. All this takes place in the beautiful Crail, with lots of pubs and restaurants to rest your feet after a full day. Situated right on the seafront, The Seafood Restaurant does exactly what it says on the tin – specialising in mouth-watering, local seafood in a beautiful atmosphere. Whether you want monkfish, oysters, fresh fish or locally sourced duck, The Seafood Restaurant has a wide-ranging menu of delicious, masterfully prepared food that diners of all ages can appreciate. As well as the amazing food, there is also a wine bar on site, providing a robust list of amazing tipples – including local beers, whiskies and wines sourced from around the world. Once visited by celeb chef Heston Blumenthal for its amazing seafood pie, The Ship Inn is one of the very finest drinking establishments for miles around. The cosy interior makes The Ship Inn the perfect place for drink – sample local ales and whiskies, or a great place to get a bit to eat, perhaps sampling the avocado and crayfish sandwiches. Overlooking the lauded Elie Beach, regular cricket matches take place over the summer, providing perfect entertainment whilst you drink and eat the evening away. 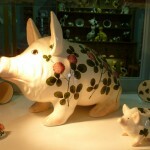 Since 1882, Wemyss Ware has produced amazing, distinguished ceramics, earning it a sterling reputation. With its own unique style and flavour, Wemyss Ware pieces have become some of the most collectible of all Scottish ceramics, with the Queen regularly commissioning pieces for her Balmoral Estate. Take a walk around the site and see how it all comes together, picking up a memento in the gift shop – it might be worth something in a few years! One of the oldest and best restaurants in all of St Andrews, Playfair’s Restaurant serves up a premium dining experience that does not break the bank. Locally sourced ingredients go into mouth-watering grill and steak dishes, with seafood of course taking an important place in the menu. In addition, Head Chef Duncan McLachlan creates seasonal a la carte menus for diners. If you do not want a full meal, the lunch menu runs from 12 noon and offers up steak sandwiches and local beers, in addition to a robust menu of other treats. Whatever your desire, Playfair’s Restaurant is a must for any visitor to St Andrews. With parts dating from the 13th Century, St Andrews Castle offers a glimpse into the distant past. Previously home to bishops and archbishops of the day, St Andrews Castle was once the most important focal point of the Scottish church. Today, you can learn about and explore the 16th century mine and dungeons, which were once some of the most notorious in the land. Beautifully situated and saturated with history, don’t miss St Andrews Castle. With the area around East Neuk sporting such a rich, deep connection to fishing and the sea, St Monans Heritage Collection is the perfect way to view it. 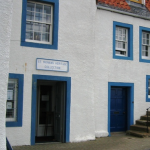 The small gallery, situated right on the harbour, offers great insight into the men and women who made the area famous for its sea-faring ways. Black and white photographs and assorted artefacts bring the past to life and provide a great overview of a hard, dangerous way of life. Hidden away like a special gem, The Cellar Restaurant has been serving amazing food and drink for more than four decades. Respecting the areas heritage of fishing and seafood, The Cellar Restaurant offers out-of this-world food and locally sourced beers, whiskies, gin and wines. Fresh local lobster and crab vie with the expertly formulated menu for your attention. Inside, the décor is tasteful and contemporary, yet welcoming and comfortable. Due to its popularity, book ahead to avoid disappointment! If your family loves animals, then St Andrews Aquarium is the place to be! Sitting on the cliffs of St Andrews, the aquarium is home to seals, alligators and penguins, as well as a reptile house, spiders and a pair of meerkats. Alongside these, the centre also features more dangerous fare, with piranhas, stingrays and the only American alligators in the whole of Scotland! There is no better place to see a wide array of amazing creatures than the St Andrews Aquarium.